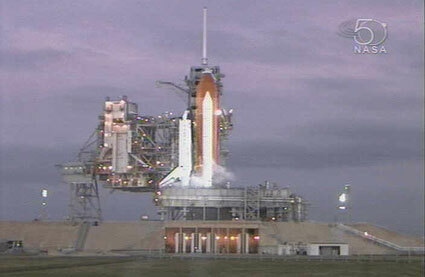 STS-122 is scheduled to launch at 11:45 PST today. You can follow the launch proceedings on NASA’s Launch Blog. Atlantis is carrying Columbus, the European research facility for the International Space Station. It’s a big important piece! LifeHacker picked up the Linux.com story and added their own recommendation. Tellico, a free, open source collection manager available in many Linux repositories, isn’t the only database-style organization tool on the block—especially with the recent explosion of web apps. What makes Tellico totally recommendable is its portability and complete . Sure, there are presets for a wealth of collections—books, DVDs, wine, coins, and the like—but you can put in and take out the labels you really care about. And unlike most programs of its kind, Tellico stores its collection files in XML format instead of SQL databases, making it easy to export your data and visualize it, amongst other perks. The Washington Post has a page that shows which Senators have missed the most votes. And surprise, most of them are the ones who have been running for president. John McCain has missed more than half of the 446 Senate votes. That’s irresponsible, no matter how many big-name bills he’s sponsored. Barack Obama has missed 38%, and Hillary Clinton has missed 24%. Seriously, how do they justify that? They’re simply not doing their job for the citizens of their states. Jay Tea asks if either of the eventual party candidates will resign from the Senate to run their campaign. Bob Dole did, John Kerry didn’t. In the debates last night, both Clinton and Obama sounded confident they would win the November election. If they’re so confident, go ahead, resign from the Senate since you’re obviously not representing your state like you should be. John McCain should do the same. It’s called being a statesman. 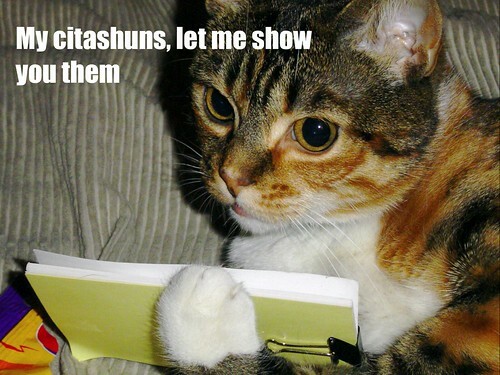 Most of the collection managers I’ve come across are highly specialized for one particular collection. Tellico stand out because it can be used to record various types of collections. With the varied collection fields for each of the collections it supports, it ensures each item is carefully cataloged. To top it all of, its Internet search feature makes adding new entries a breeze and gives Tellico a distinct edge over other similar tools. Tellico was also mentioned in another Linux.com article about Alexandria. Alexandria just had a recent release of version 0.6.2. The new development activity is great to see. Tellico was briefly mentioned, as well, in another review for Alexandria written by Jonathan DePrizio. Patrick Guignot wrote up a very comprehensive announcement of the 1.3 release. He pulled information from my blog posts, the documentation, and the Tellico email list to mention just about everything currently relevant about SQL, KDE4, GCstar, etc. It’s in French, so enjoy! Il [Tellico] permet de gérer facilement toutes sortes de collections et d’importer des informations depuis divers sites Internet afin de remplir automatiquement les champs de ces collections. Du fait de ses très nombreuses fonctions, de la réactivité de son développeur et de son manuel d’utilisation complet, Tellico est devenu une sorte de référence dans son genre au sein du monde du logiciel libre et même au-delà. Regis had also written an update about the 1.3 pre-releases. Tellico 1.3 is already in Debian unstable, Ubuntu Hardy, and Fedora Rawhide.